A world renowned motivational speaker, who has empowered audiences the size of stadiums to as small as a classroom through his art of storytelling, drama, powerful vocals and ever glowing stage presence. Sabirul Islam is an international motivational speaker, author and a corporate trainer. With over 14 years experience in the world of business, speaking and writing, Sabirul has inspired over a million people in 29 countries and published 3 best selling books, his first titled ‘The World at Your Feet’ which he wrote at the age of just 17. 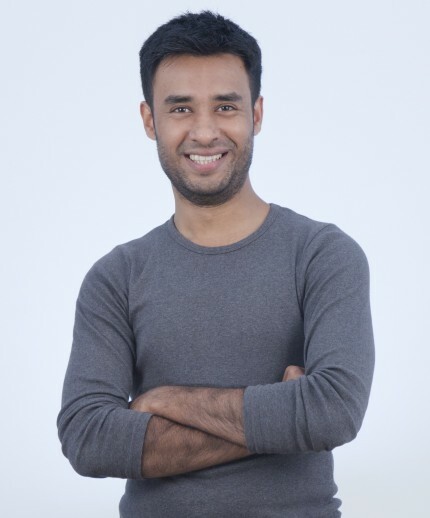 Sabirul kick started his entrepreneurial journey at the age of 14 running ventures and trading in the stock market throughout his teenage life. His focus quickly shifted to empowering the young generation around him, which led him to writing his first book which went onto sell 42,500 copies across the UK. He has since been an ever present motivational speaker, delivering talks and enterprise workshops at schools across the UK before going global with his Inspire1Million campaign. A speaking tour where Sabirul spoke at 867 events in 29 countries over a span of 4 years. He has been deeply passionate to inject practical enterprise learning and promote financial education across the academic platforms, which led to Sabirul developing his Teen-Trepreneur board game which has been licensed out to 14 countries worldwide. Sabirul has a very strong and high profile media presence, having directed and hosted 2 live TV shows, as well as featuring on some of the largest newspapers, magazines and media platforms around the world. For the past 6 years his focus has also been on delivering corporate training, to small and medium sized businesses with strong emphasis on self development, leadership, sales, cognitive thinking and emotional intelligence.